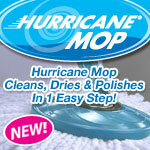 Cathy Mitchell’s Dump Dinners are a TV Hit! 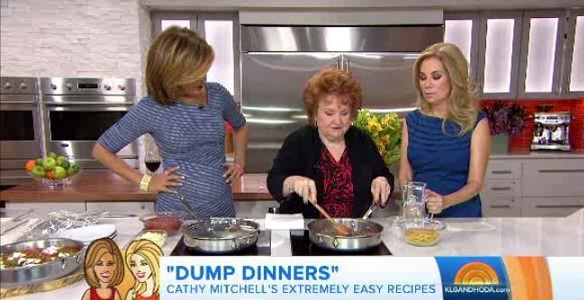 The Dump Dinners recipe book has become all the rage and our very own Cathy Mitchell is showing up everywhere. This past week she appeared with Kathy Lee & Hoda on the Today Show and of course, her recipes were a huge hit with the hosts and even the staff who gobbled up the meals. 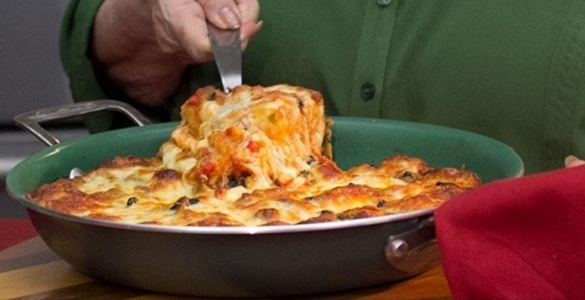 CLICK HERE to see Cathy’s 3 features recipes she featured on the show for: Deeply D’Lish Pizza, Creamy Broccoli & Cheddar Chicken, and Skillet Lasagna. 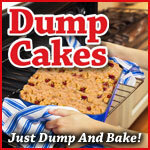 Dump Cakes: Cathy Mitchell's Mouth Watering Recipes!